It doesn't take much for me to get excited about the latest tech accessories. Yet, when they are not only functional but stylish and unique, I can't help but swoon. If you have yet to discover the perfect combo of fun and functional, check out all the coolest accessories by Toddy Gear. We're talking about power banks, charge and sync cables, microfiber smart cloths and wedge mobile device stands that reflect your personality and add some extra flair to what is so often boring and plain. 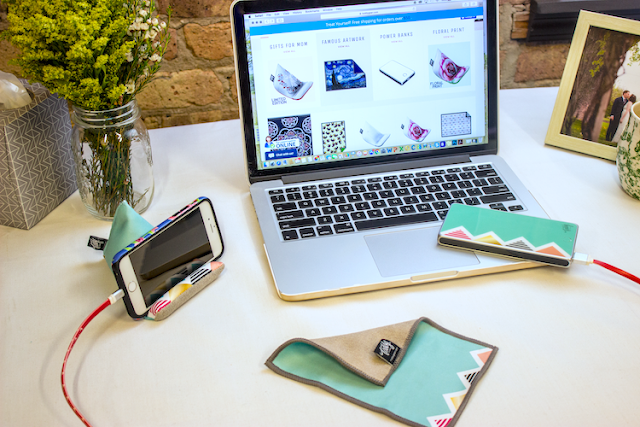 One of my favourite Toddy Gear accessories is their Smart Cloth. This eco-friendly microfiber cloth is made in the USA and is incredibly soft. You can use it to clean screens and it is also great for cleaning glasses, too. I've had so many compliments on my Sanibel Smart Cloth, seen above, but you can get them in so many different styles. For the art enthusiast, Toddy Gear recently added a famous artwork collection. My personal favourites are Mona Lisa, Starry Night, and La Tournée du Chat Noir. Their 5x7 cloths usually retail for $9.99. Looking for a hands-free solution? The Toddy Gear Wedge is a beanbag-like stand that is perfect for the home, office, or even on an airplane. It cradles your smartphone so you can catch up on your favourite show or follow a recipe while you cook. The plush microfiber on the bottom can also clean your screen. There are some fun new designs in their Back-to-School collection such their Bubblegum Wedge, Jazzy Wedge, and Pug Life Wedge. These generally retail for $14.99. Finally, don't leave home without a power bank. Toddy Gear's Smart Charge Power Bank is travel-sized and is available in a wide range of creative and unique designs to suit your style. I tested out the deluxe charger with a 7000mAh battery that has dual USB ports so you can charge two devices at once. I use it with my iPhone 6S and get almost three full charges. It is slim and elegant in design and features three digital LED indicators to show how much power is remaining. A standard power bank is $24.99 and the deluxe is $29.99. Luckily, I have a special promo code that will save you 20% off your Toddy Gear purchase. Simply use TEACHERMOM20 at checkout. 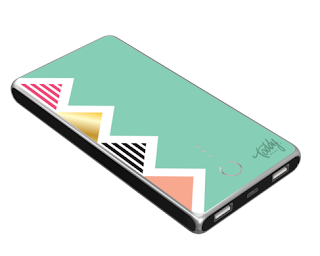 Win a Toddy Gear Smart Charge Deluxe Power Bank! One lucky Toronto Teacher Mom reader will win a Toddy Gear Smart Charge Deluxe Power Bank in their choice of available designs. Be sure to complete the Rafflecopter form below. This giveaway is open to residents of Canada and the USA who have reached the age of majority. Void where prohibited. I think I'd pick the Meow design. I think I would pick LA TOURNEE DU CHAT NOIR design! Great product! I love the Illusionist design! I think that I would choose the Meow design. I think the illusionist is the one I would choose. I like the Bubblegum and the Critters Design. I would choose the OCEANIA. I would choose the starry night design. I would choose the Meow design. I think I'd go for Aqua Stripes. I like the DayDreamer design! I like Sprinkles and Facets... hard to choose! I like the Bubblegum wedge design. I would choose the Zin Zin design. I would choose the Bubblegum wedge design. I think I'd choose the Oceania. I think I'd choose the slothing around ledge! I'd choose the Water Lillies Smart Charge Power Bank. I love Meow & Bacon & Beer! There are so many cute designs to choose from!